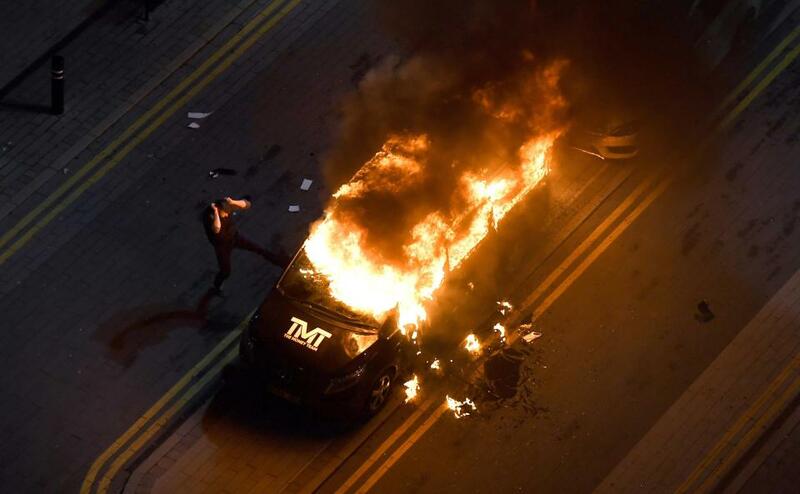 While Floyd Mayweather was in the U.K., one of his TMT vans were torched. Mayweather was on his "Undefeated" tour, where the boxer is taking the time to talk to fans, as well as conduct meet-and-greets with them. While one of his stops on the "Undefeated" tour was taking place at the International Convention Centre in Birmingham this past Saturday night, arsonists allegedly took Molotov cocktails and threw them into the TMT van. The fire company that responded to the incident, Ladywood Fire Station noted that the arsonists threw the Molotov cocktails in the van after breaking one of the windows with a brick. According to Mayweather's team, the van was custom made. 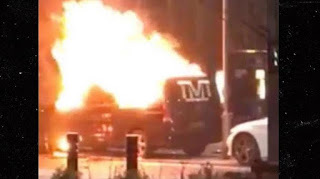 The team was using the van while on their promo runs in the U.K., but the van doesn't actually belong to Mayweather. Investigations into the fire bombing are set to take place.